The Toyota Avanza MPV has been one of the most popular offerings by Toyota in the international markets. The MPV has been selling in the Indonesian and Philippines markets for seven years now. And now Toyota is planning to launch the Avanza facelift in these markets. The Toyota Avanza rivals the likes of the Honda BR-V and also the Maruti Suzuki Ertiga in the earlier mentioned markets. 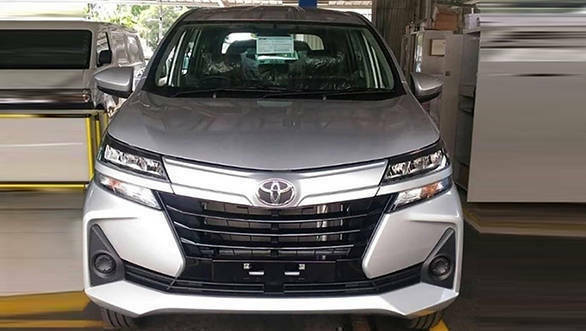 While the official launch of Toyota Avanza facelift is scheduled to take place in the coming months, leaked images of the same have surfaced online. The updated Toyota Avanza will hit international dealerships later this year. We believe Toyota will launch the Avanza MPV in India to rival the likes of the Maruti Suzuki Ertiga. The updated Toyota Avanza gets a completely redesigned front profile. It gets split headlights, tweaked front grille, centre air intake and also a chrome strip on the tail gate. The front and rear bumpers too have redesigned. 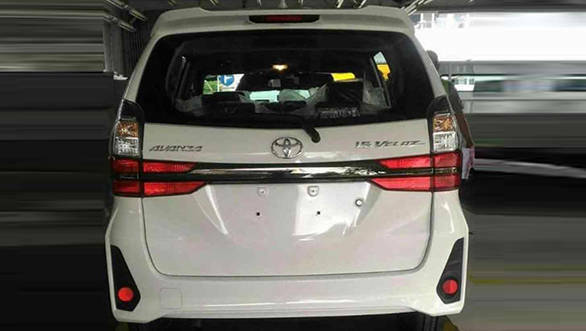 From the images it can be seen that the updated Toyota Avanza looks similar to the larger offerings, like the Alphard and the Vellfire. This can be seen mainly with the new split headlights, wherein the positions of the high beam, auxiliary lights and the turn signals have been altered. The grill design that has been updated also contributes to more efficient cooling, that is also helped by the larger central air intake. The updated design of the Toyota Avanza makes the MPV look larger than its previous offering. The variant that is seen in the leaked images is the Veloz trim. It is being said that the Philippine-spec Toyota Avanza MPV will come with a slightly different design. Also, the Daihatsu Xeniam which is identical to the Toyota Avanza, will get a similar design. Even the cabin layout and design will go through an overhaul. In terms of powertrain options, the updated Toyota Avanza will be offered with a 95PS 1.3-litre and a 103PS 1.5-litre engine options. The state of tune of these engines will remain unchanged. These engines will be mated to a five-speed manual or a four-speed automatic transmission. Toyota has not officially revealed the new Avanza in Indonesia, which will happen in the next few weeks. Would you like Toyota to launch the Avanza MPV in India, let us know in the comments section below.